Full-duplex RS485/422 breakout board for the ISL32433 transceiver IC from Intersil. 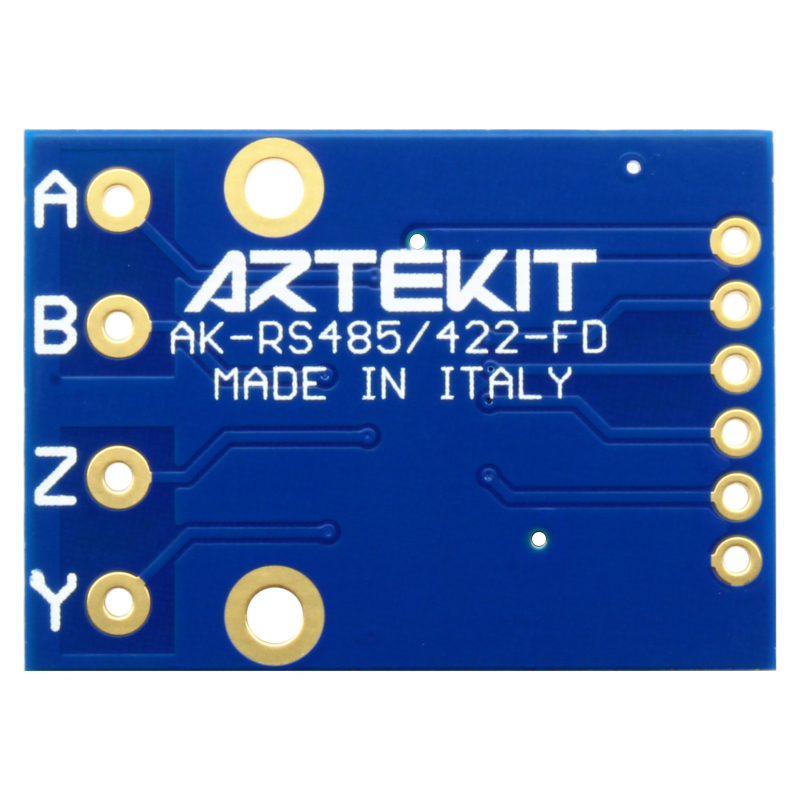 The AK-RS485/422-FD board is a full-duplex RS485/422 transceiver that converts UART serial streams to RS485/422. 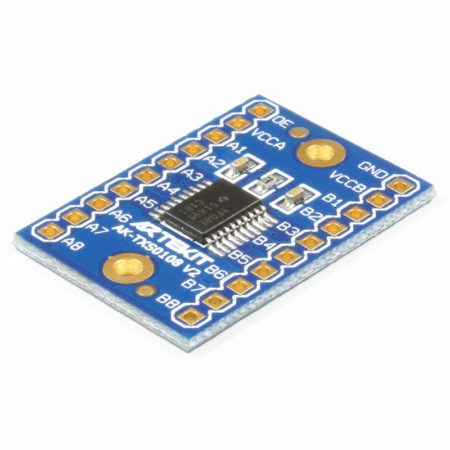 The board is a breakout for the ISL32433 transceiver IC from Intersil. The RS485/422 protocol is a differential (balanced) transmission standard with high immunity in noisy environments. Most the RS485/422 transceivers are half-duplex allowing to communicate one way at the time. 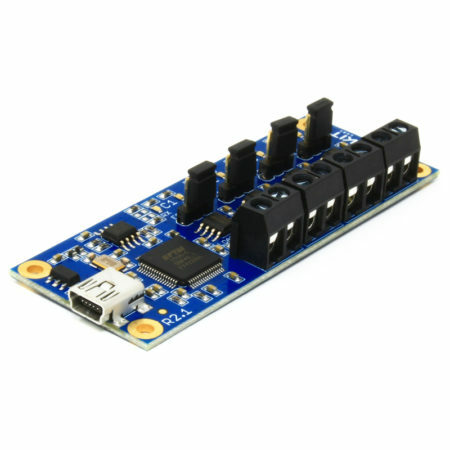 What makes this board special is that it supports full-duplex communication. That is, you can use the TX and RX pins of an UART at the same time, on two separated lines. If you are looking for the classic half-duplex transceiver, we have that too. 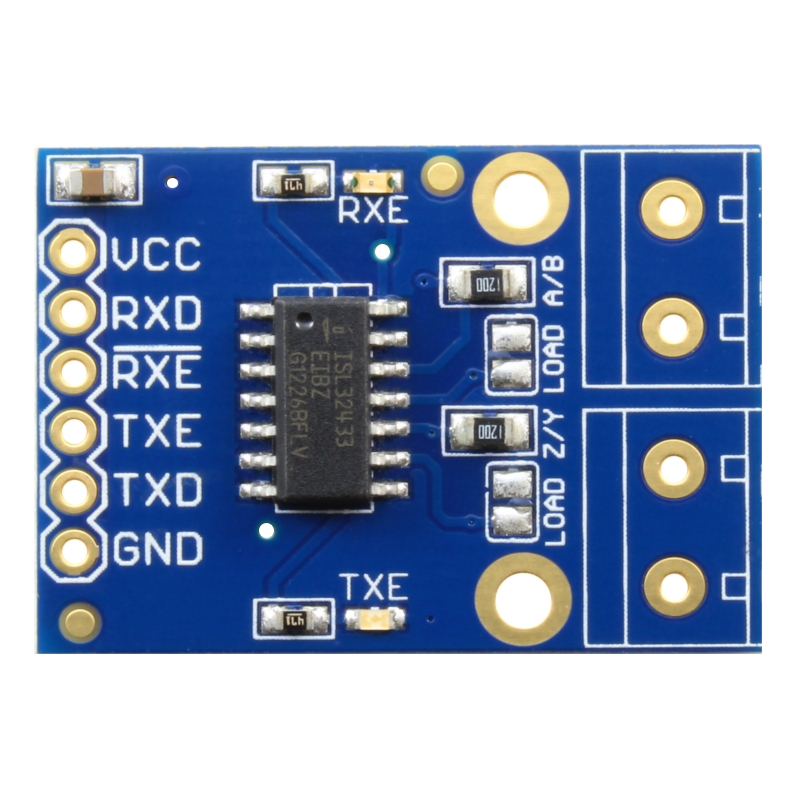 The ISL32433 also supports an extended common mode range: from -15V up to +15V (exceeding the -7V to +12V required by the RS485 standard), making this transceiver one of the more robust on the market. The board can be powered-up from 3V up to 5V. It comes with the ISL32433 and all the required components. It also has two solder jumpers to enable the on-board 120 Ohm terminator resistors for each line. Two LEDs indicate whenever the transmitter and/or receiver are enabled. 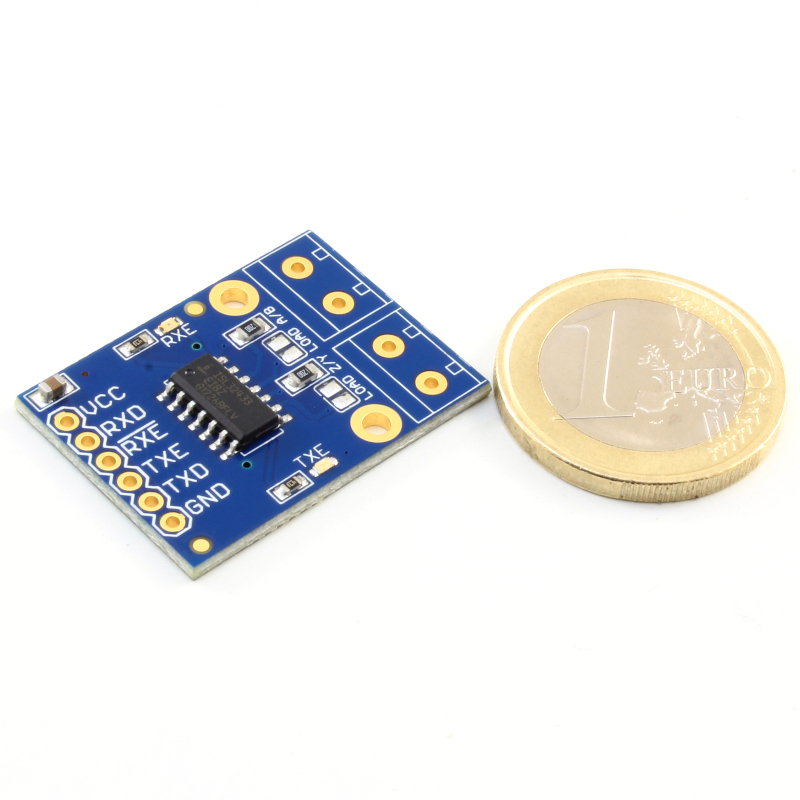 There are 0.1″ (2.54mm) spaced pins for MCU lines and power supply, and 5mm pins for the RS485/422 signals. 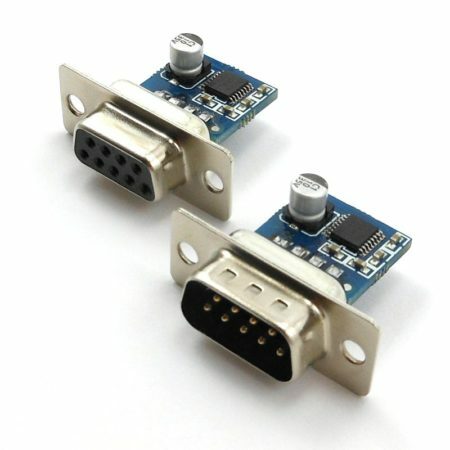 You can also solder 5mm screw terminal connectors or you can but this board with the screw terminals already soldered in. 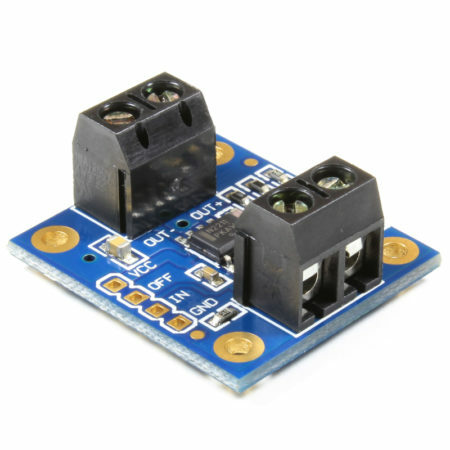 3V up to 5V power supply. 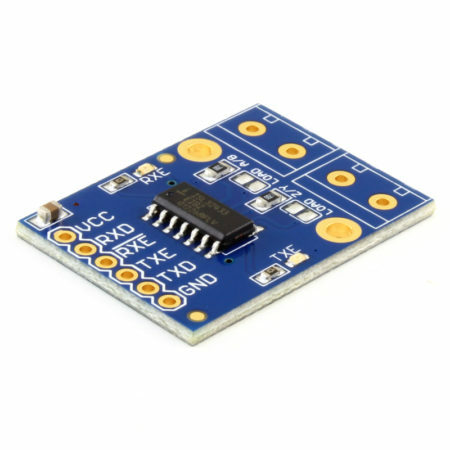 Supports RS485 and RS422 standards. Fault Protected RS-485 Bus Pins up to ±40V. Extended Common Mode Range: ±15V. 15kV HBM ESD Protection on RS-485 Bus Pins. On-board 120 Ohm terminator resistors.